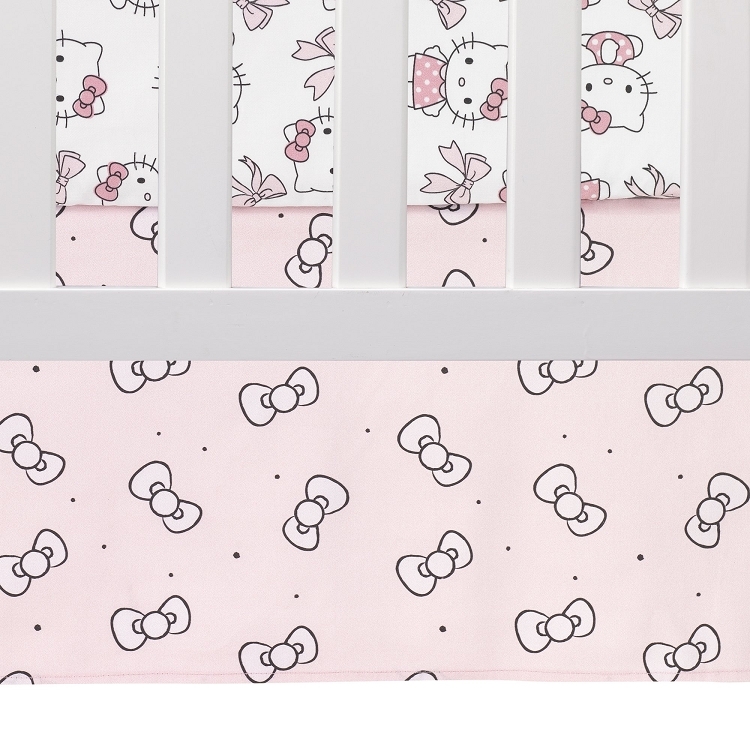 This three piece bedding set includes one quilt, one fitted crib sheet, and one dust ruffle. 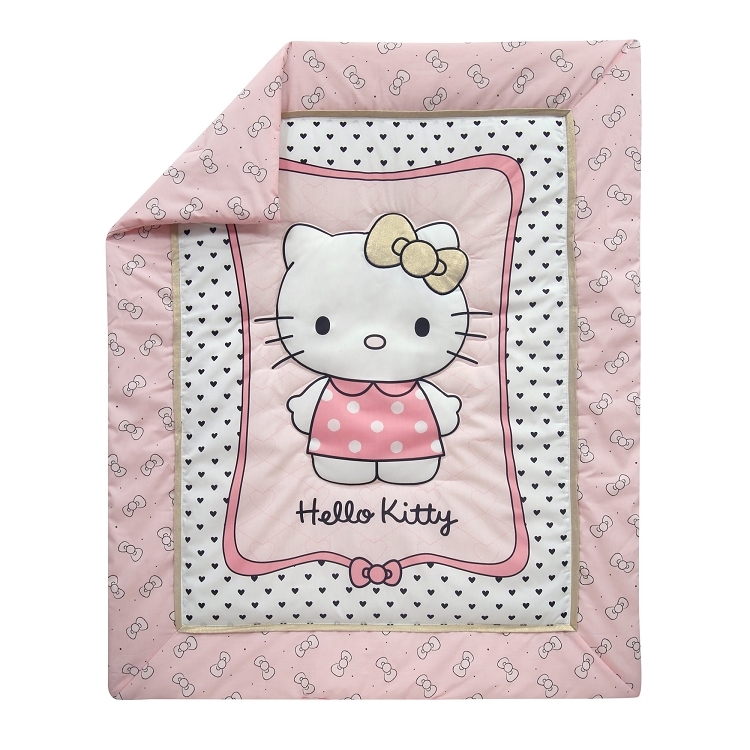 Hello Kitty is featured on the quilt in her pink polka dot dress wearing a trendy gold bow. She is bordered with black mini hearts on a white ground, gold flange trim and tossed pink bows. 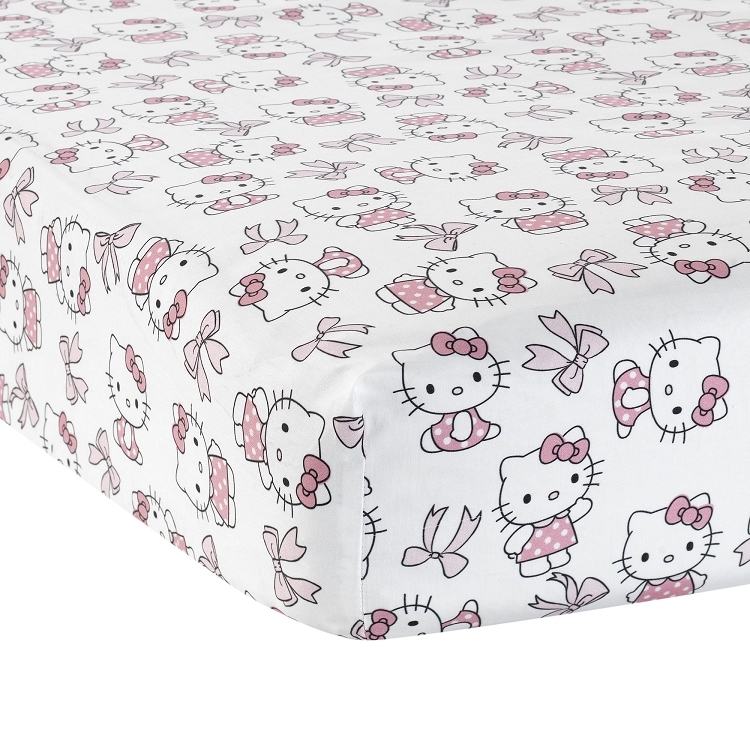 The fitted crib sheet is a pretty print of Hello Kitty’s and pink bows on an optic white ground. 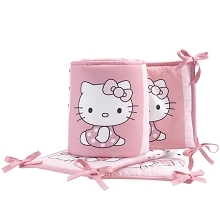 A pink ground with black outlined bows is the 10” dust ruffle. 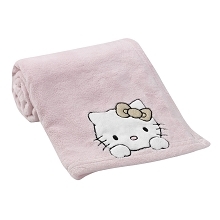 Cotton poly blend. Imported. 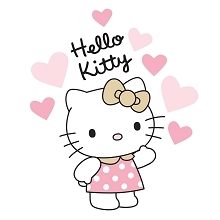 Hello Kitty was born in London. She lives with her parents and her twin sister Mimmy who is her best friend. 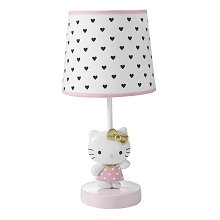 This pretty new collection features Hello Kitty in her favorite pink polka dot dress with a trendy metallic gold bow. 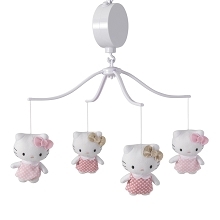 Welcome your baby girl home in this nursery filled with a Hello Kitty sculpted lamp with heart shade, a coordinating window valance, a long playing musical mobile and easy on easy off wall appliques. 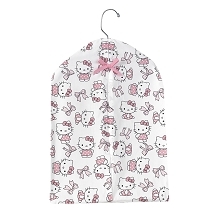 Cotton/Polyester Imported Coordinates with the Hello Kitty Luv Collection Machine Washable The three piece bedding set includes one quilt, one fitted crib sheet, and one dust ruffle.